Austin is known for its wide array of dining experiences, so it's no surprise that great drinks can be found in even the most unlikely of places. Next time, check out one of these spots for affordable eats and drinks near campus. A classic late-night fast-food spot has recently upgraded with boozy versions of your favorite frozen drinks. Taco Bell Cantina serves alcoholic versions of classics like the Mountain Dew Baja Blast as well as local beers on tap. Each of their Freezes, which include flavors like orange creamsicle, candy apple, and watermelon, can be served with rum, tequila or vodka for under $7. Try a staff recommended favorite: the Baja Blast Freeze with a twist of rum alongside their Doritos Locos Taco. From the outside, Salvation Pizza looks like any typical pizza delivery spot. However, upon venturing into the bright red house, you’ll find stand-out pizza and fantastic drink specials. 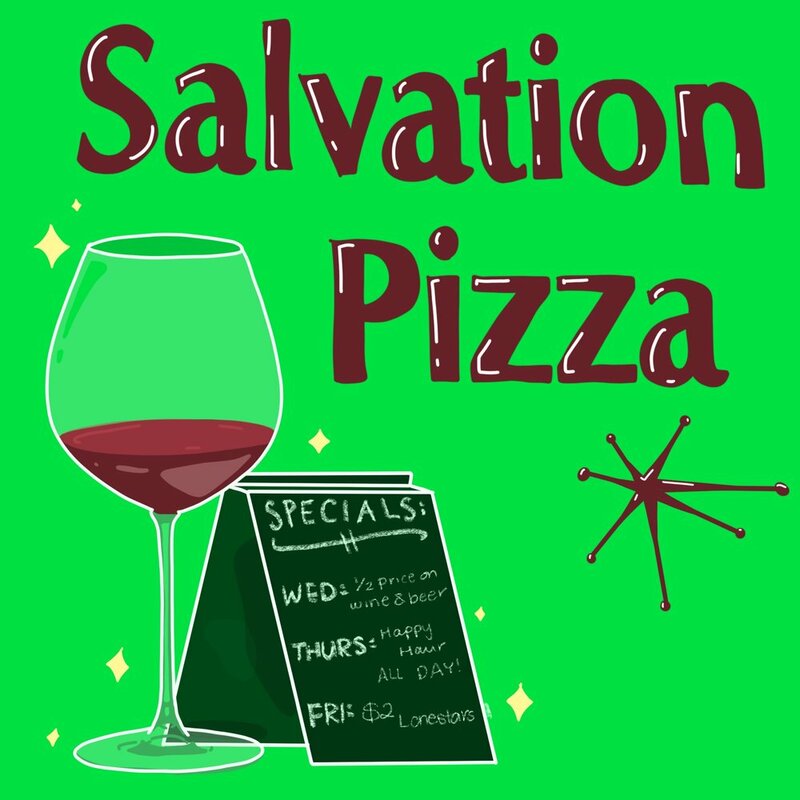 With both indoor seating and a shaded patio, Salvation Pizza isn’t just for deliveries. It’s also a great place for happy hour drinks. Located just north of campus on 34th St., they offer deals on wine and beer like half-priced wine on Wednesdays, happy hour all day on Thursdays, and $2 Lone Stars on Friday. Ever in the mood for a midday margarita? Taco Joint is the perfect spot to take a break from class, indulge in a taco or two, and take advantage of their full bar. Every day from 2-7 p.m., Taco Joint serves $3 frozen margaritas and $2 Lone Stars. If you’re looking for a cheap place on the east side of campus, stop by Taco Joint for dinner and a drink. Dirty Martin’s has been an Austin classic since 1926. Best known for their burgers and fries, they recently expanded to a full bar, offering drinks like palomas and alcoholic cherry limeade alongside their traditional draft and bottled beer selection. Weekday specials at Dirty Martin’s include $3 well liquors and draft beers, and $4 margaritas and moscow mules. Their Saturday and Sunday brunch specials feature bloody marys, mimosas and Micheladas. Before heading to the In-n-Out drive-thru again, consider Dirty Martin’s instead for a great burger and drink selection!